Products that Work in Harmony Together. 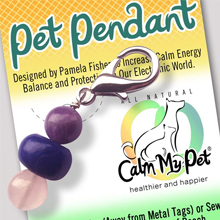 Designed by Dr. Pamela Fisher to Create the Best Calming Effect for your Pet! Calm My Pet Products are hand crafted and handled with love and with care. Only the purest ingredients are chosen to be used in our products. The energetic vibrations of nature in our products encourage balance and healing. The Certified Organic Therapeutic essential oils, Hydrosols and Essences are hand selected and formulated by Dr. Pamela Fisher. The sacred oils and vibrational water essences are carefully stored and sold in amber glass bottles to protect the integrity of our precious essences. All our products are lovingly infused with healing calm energy for your pets! Unique Products that will Help Both your Pet and the Rest of the Family. Below are a list and quick overview of some of our exciting products. CALM MY FOCUS is recommended for training, competitions, visitors, high energy, stress, and anxiety in dogs. This essence promotes dogs’ best performance in different challenging situations. CALM MY ARTHRITIS is formulated to promote healthy joints and movement. It is recommended for arthritis, discomfort, muscle/joint soreness, or overuse. 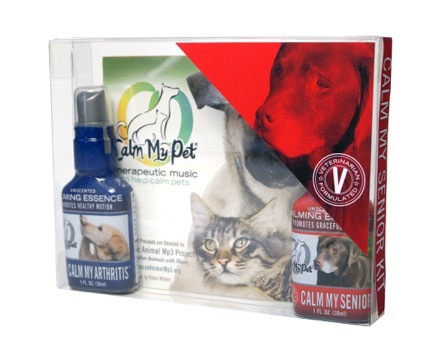 CALM MY SENIOR is made specifically for senior dog and cat concerns to support graceful aging. CALM MY RESCUE assists with new beginnings and changes. This essence is formulated for dogs adjusting to new situations or households. It is recommended for letting go of stress, trauma, fear and anxiety from earlier in life. CALM MY DIGESTION supports healthy weight or for occasional or chronic digestive concerns. CALM MY SENIOR KIT includes a Calm My Senior essence, a Calm My Arthritis essence, and a CMP Music CD. 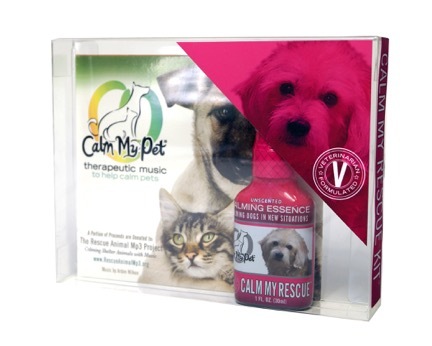 CALM MY RESCUE KIT includes a Calm My Rescue essence and a CMP Music CD. 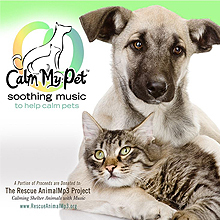 CALM MY PET MUSIC is specific musical compositions lovingly selected by Pamela Fisher, DVM to help pets cope with common phobias such as thunderstorms, household noises and stress. It can be played at any time to help calm pets and people of all ages. The tones, tempo, and rhythms on this CD are designed to create soft movement of energy in the body, release blockages to promote relaxation, promote self-healing and reduce stress. CMP Music CD is recorded with SSRS (Spectrum Sound Resonance System) to enhance the relaxation effect of the music with psychoacoustic frequencies. CD includes original compositions by sound therapist Arden Wilken and a few classical melodies. 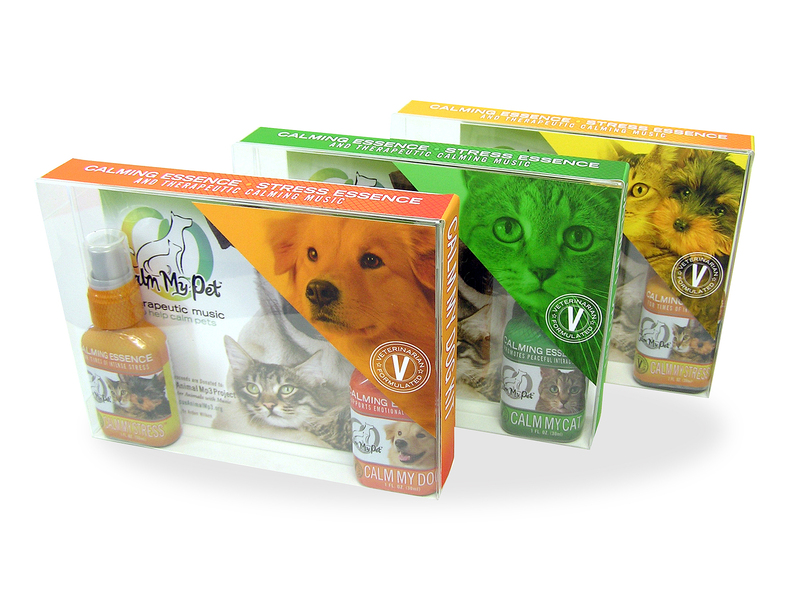 These essences are unique veterinarian formulated, all natural, unscented, and alcohol/glycerin-free calming sprays. For first application, spray on hand then gently stroke on back several times daily or as often as needed. Use liberally. Alternatively, hold spray approximately 8 inches away from your pet misting lightly over your pet’s back. Essences can also be sprayed into their water bowl. Caution to avoid eyes. Reapply daily and before, during and after stressful events as often as needed. These products are made with pure spring water infused with the energy of gem and plant essences using a homeopathic process. Calm My Pet products can assist an animal to release emotions and help with physical and emotional balance. Essences go into effect immediately - within seconds to a couple minutes and can be applied as often as needed. 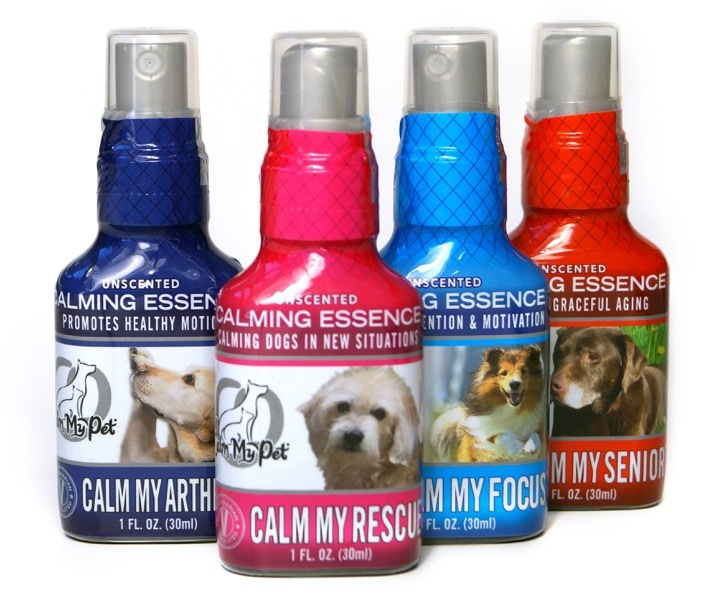 *Calm My Pet products promote health and varying degrees of calmness depending on the individual. Additional benefits can be seen with long term use. 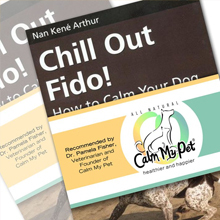 CALM MY STRESS is a stronger formula and helps to calm intense stress, worry, anxiety, and trauma in both dogs and cats. *Best to use before the start of, during and after stressful events. Suggested for use with anxiety at home, car trips, vet visits, grooming, boarding, fireworks, and improves focus for shows and training. CALM MY DOG can be used for every day ups and downs and stressful times. Calm My Dog is specifically formulated to benefit dogs of all ages, especially puppies and seniors. 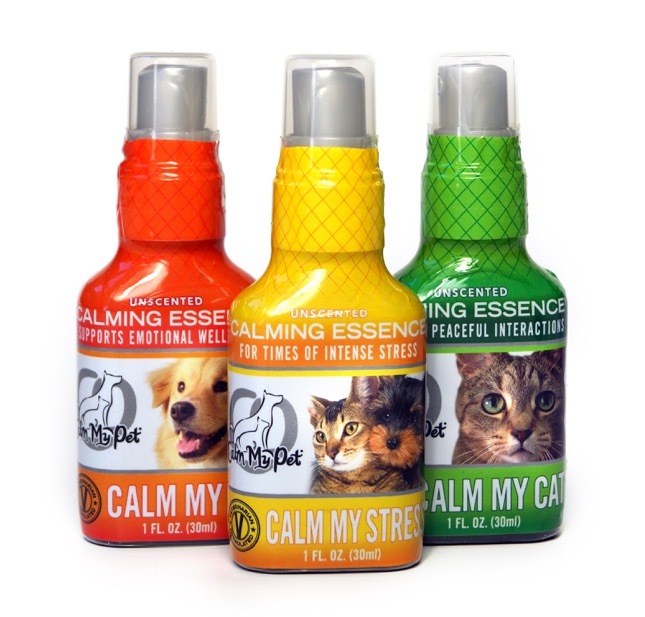 CALM MY CAT is created specifically for sensitive felines who react to stress differently from dogs. Spray on hand and gently stroke into cat's fur, or add to their water. Daily misting of Calm My Cat will help to relax and balance cats, creating calmer family interactions. Organic, Hand Selected Therapeutic Calming Scents to Soothe. 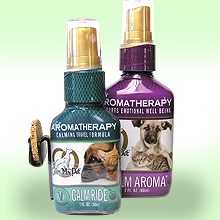 CALM AROMA is a custom formulated therapeutic organic aromatherapy with a light scent to help soothe your pet. Gently spray bed & toys. This is a pure organic hydrosol (no water added) with a light lemon scent. intuitively designed & Reiki Energized. Does your dog go bonkers when the doorbell rings or when you grab the leash to take him for a walk? Getting your dog to calm down and relax is one of the most common challenges pet parents face. This book provides you with training exercises to teach your dog how to calm down, pay attention to you, relax, and respond to everyday situations with confidence and composure.